I don’t know about you, but I love looking at vacation rental properties. I enjoy perusing the different decorating styles, cultural design norms, and even the bathroom fixtures (weird, I know). And really, I just like dreaming about what it would be like to spend an extended time period in faraway places. 1. This beach house in St. Lucia is rather affordable (compared to the nearby resorts) and offers a pool that is to die for! 2. 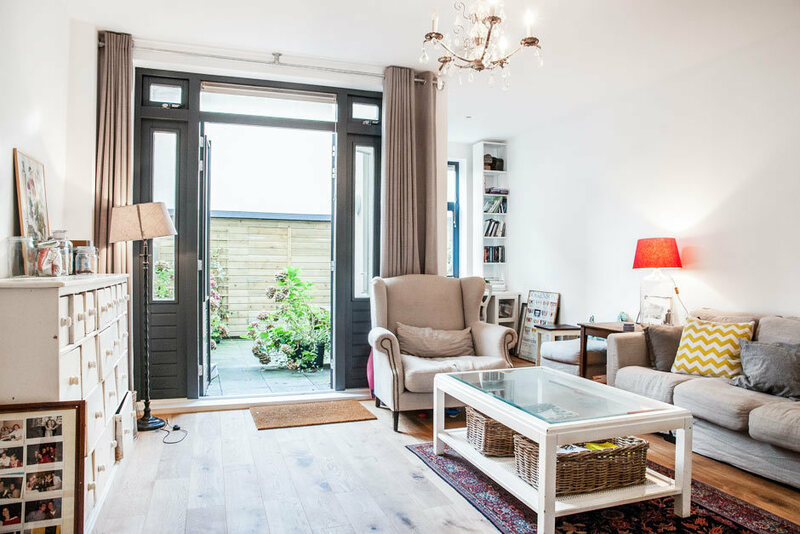 This apartment (above) is 10 minutes from downtown Amsterdam has so much charm and as an added bonus, would fit our family beautifully. 3. These cottages on Easter Island are eco-friendly and gorgeous. I can totally see me having a cup of coffee on the deck and watching the kids run around the yard. 4. I’m in love with this seaside home in Nova Scotia. The interior finishes such as the farmhouse table and rock fireplace just scream “Canada” to me. 5. This small home in San Diego (above) is not only a place I’d like to visit, I want to move in. Our kids would love the loft and the decor is very tasteful. Do any of these rental properties add to your wanderlust? Which one is your favorite? I think I could settle for that house in St.Lucia. I’m swooning… And showing my husband! I love to travel and hope to share that love with my children!! Thanks for commenting, I love it, too!